Catholic News World : Quote to SHARE by St. Mother Teresa : "People are often unreasonable, illogical and self centered; Forgive them anyway...."
Quote to SHARE by St. 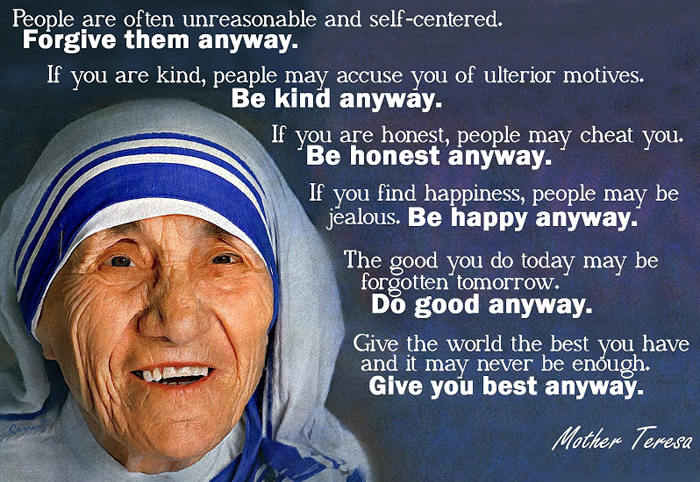 Mother Teresa : "People are often unreasonable, illogical and self centered; Forgive them anyway...."